The days are getting shorter, but don’t resign yourself to settling in for a long, lazy season inside. 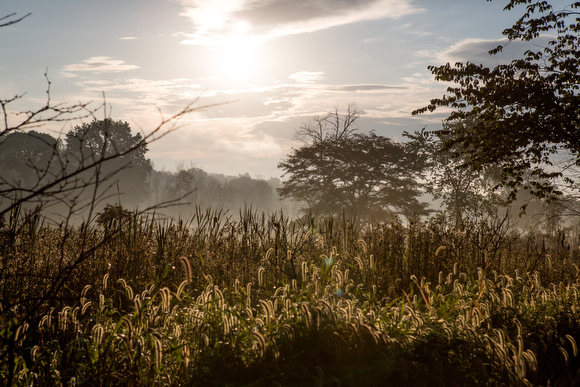 One of Grand Rapids’ greatest assets is the natural beauty that surrounds this mid-size city, with amenities that you won’t even find in many big cities. From small pocket parks to epic-sized Lake Michigan, you’re never far away from a wooded trail, a mountain bike path, or a gorgeous beach. 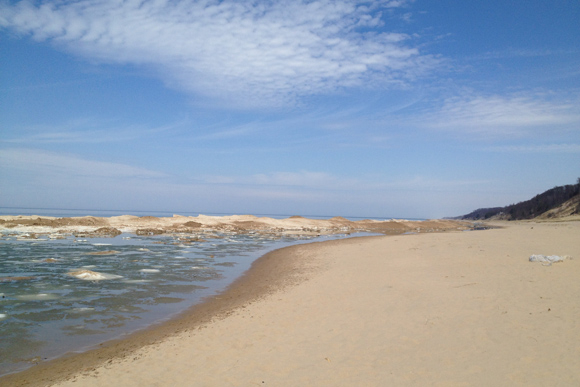 As summer turns to fall, Rapid Growth rounded up ten of West Michigan’s best hikes, with hidden urban hiking trails mixed in with cross-country paths that lead to the great lake even in the snowiest of months. Have an hour or an afternoon? Looking for a hike that can happen within the city limits? Grand Rapids contains more urban paved trails and hidden hikes than we can count. 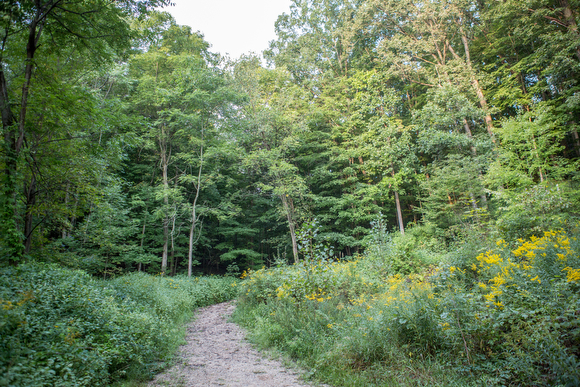 Savvy West Michiganders already know about the bounty of outdoor experiences at Blandford Nature Center, Provin Trails, Meijer Gardens, and the Calvin College Ecosystem Preserve around the city’s edges, plus favorites like Riverside Park and Huff Park right in the city. Here are a few more in-town walks and hikes to get you started. 1. An accessible urban trail perfect for walking, biking, in-line skating, and wheelchair users, the Grand River Edges Trail is a paved loop right in the city that passes by many of the city’s landmarks. With access at Fish Ladder Park, Canal Street Park, or 6th Street Bridge Park, the trail is 5.4 miles long and a great way to squeeze in a short hike or ride on your lunch hour or see the city as a tourist by heading out right from your hotel. Looking for a hike that’s a little outside city limits, and maybe a little more rugged? Head out of town just a bit to hit the dirt and find some solitude. 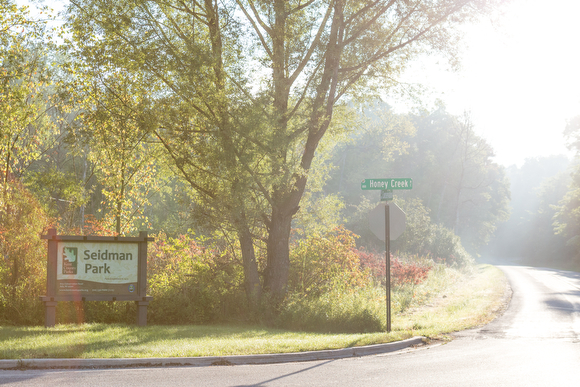 In addition to Pickerel Lake Park near Cannonsburg and Roselle Park (paved trails, dogs welcome), making your way just a few miles outside of downtown Grand Rapids gets you out of the city and into a more natural environment. 4.True to its name, Cascade Peace Park Trail in Ada is a woodsy, peaceful trail just off Grand River Drive where you’re more likely to encounter a deer than another human. The elevation changes along the dirt path make it a challenging spot for a midday run or hike and a great place to walk Fido after work. Parking and access from Bolt Drive or Grand River Drive. Everyone knows Lake Michigan is the place to be on a sunny summer day. But don’t discount heading to the water during the cooler months. Several West Michigan trails within an hour’s drive of Grand Rapids merit a day trip during the fall to take in the color or an outing in the winter on snowshoes or cross-country skis. Bonus: Now that the weather has cooled down, you’ll have the beach to yourself once you make it there. 9. P.J. 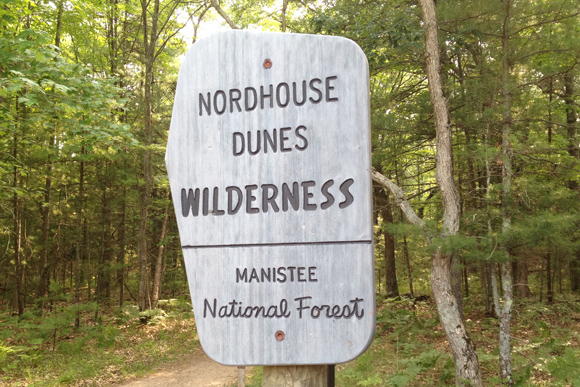 Hoffmaster State Park, on Lake Harbor Road in Muskegon, boasts three miles of Lake Michigan shoreline and easy trail hikes ranging in length from one to three miles. The wooded paths are gorgeous in the fall, and the north end of the park, along Little Black Creek, is home to bald eagles in the winter as well as several other species of migrating birds and butterflies during the warmer months. There is also a Visitor’s Center and a campground. Many of the local trails also appear when you use Google Maps and choose the“bicycling” option. If you have a favorite trail that we didn’t mention, be sure to let our readers know in the comments section. Stephanie Doublestein is the managing editor of Rapid Growth Media.